The National Allergy Strategy has received funding from the Australian government to implement a food allergy prevention project based on the ASCIA guidelines for infant feeding and allergy prevention. 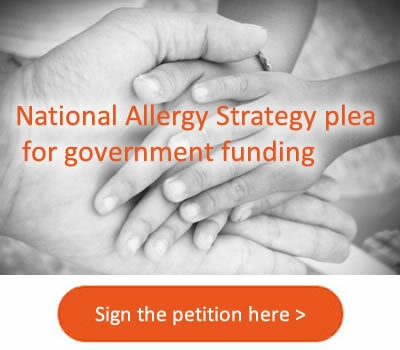 This project will be informed by National Allergy Strategy Infant Feeding Implementation Meeting (IFIM) held in March 2017, which engaged key stakeholder organisations to guide the implementation process. There are several issues regarding drug allergy that require urgent attention which will improve patient outcomes, reduce allergy specialist waiting times for more timely access for individuals with more complex diagnosis and management and reduce the use of more expensive antibiotic medications. The government funding will enable the scoping of drug allergy issues occurring within hospitals and the broader community as well as identify areas of need regarding education for health professionals. Teens and young adults are a high risk group for fatal anaphylaxis. There are limited resources for this group and effective ways of educating are urgently required. The government funding will provide the opportunity to engage with teens and young adults and determine effective communication and education methods. Urgently needed resources, targeted specifically at teens and young adults will be developed based on the outcomes of these discussions. Whilst we will continue to educate consumers with food allergy on appropriate management and communication when eating food outside the home, the aim of this initiative is to improve the provision of appropriate food to individuals with food allergy, in the food service sector. The government funding will enable discussions with key stakeholder organisations in the food service sector to identify the most effective methods for improving appropriate food provision for individuals with food allergy. These discussions will help inform and enable education resource development.